- Crown, Jungheinrich, kickTrike, SSI Schäfer, Still, Torwegge, UniCarriers face the world's biggest intralogistics test. - More than 100 guests follow the IFOY Test live at Messe München. - Jury members from 15 countries test IFOY finalists. Action in Hall A3 of the Messe München trade fair location: during the IFOY Test Days, the finalists for the IFOY Award were put through their paces. 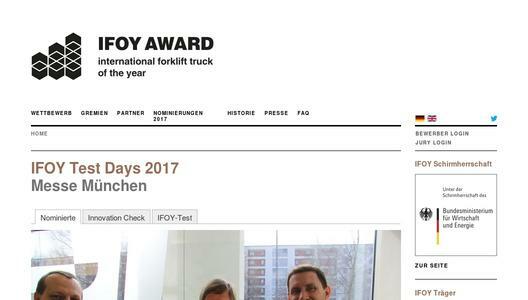 This year, eleven nominated trucks and components from manufacturers Crown, Jungheinrich, kickTrike, SSI Schäfer, Still, Torwegge and UniCarriers made it into the final round for the IFOY Award and were subjected to the world's biggest intralogistics test. 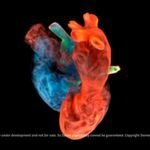 "The IFOY Award is not for just any machine. The promises of the manufacturers have to be validated, and only entrants who pass the test series with flying colours can claim to belong to the 'Best of Intralogistics' ", says Anita Würmser, Chairperson of the IFOY Jury. More than 100 invited guests, including the various testing teams as well as 30 jury members and approved consultants from industry, logistics services, media and academia, made the trip to Munich to watch the tests as they were being carried out. Jury members from 15 countries and their advisory teams from the logistics sector and the media took an in-depth look at the finalists. The first jury testing day began with the presentations by SSI Schäfer, Torwegge and Jungheinrich. SSI Schäfer and Identytec showcased their 2Stack AGV system with auto ID technology and software-based eKanban. The team from Torwegge entered its driverless heavy-duty AGV "TORsten" for the award, and Jungheinrich presented its smartphone-based indoor localisation system for stacker trucks. Day two was the day of the jury tests. 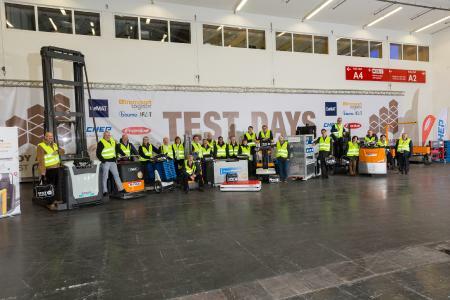 In addition to test driving the multi-functional WAV 60 from Crown and the kickTrike intralogistics eBike, the jury members put the Jungheinrich EMD 115i electric high lift truck, the autonomous iGo neo CX 20 horizontal order picker from Hamburg-based manufacturer Still and the EPH 125 DTFV high lift order picker from UniCarriers through rigorous trial sessions. The final entrants on the jury testing list were the heavy-duty tugger train with automatic loading and unloading from Still as well as Still's self-cooling PowerPlusLife battery, followed by the Driver Presence Sensor (DPS) from UniCarriers as an alternative to a dead man's switch. All this was preceded by a week of lifting, driving, measuring and order picking. The eleven new trucks that were nominated were put through their paces during the comprehensive 80-criterion testing protocol and the IFOY "Innovation Check" in the 11,000 square metre trade fair hall. The Innovation Check was performed by the Fraunhofer Institute for Material Flow and Logistics (IML) in Dortmund and the Chair of Machine Elements and Technical Logistics at the Helmut Schmidt University in Hamburg, and assesses in particular the innovative features of the trucks and the degree of innovation relative to the market. The assessment criteria are market relevance, degree of novelty, customer benefit and type of implementation. The hands-on IFOY Test devised by Dutch testing specialist Theo Egberts from Andersom Testing measures the "hard data" of each machine and compares it with the data for rival trucks. Both testing series form the basis for the final vote of the jury. 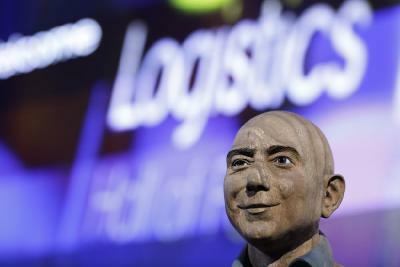 The identity of the eventual winner will remain a closely guarded secret right up to the last minute, and even the manufacturers will have to wait until the award ceremony on day one of the "transport logistic" at the BMW World in Munich to learn how their products fared. The International Forklift Truck of the Year (IFOY AWARD) recognises the year's best materials handling equipment and intralogistics solutions. The aim of the organisation is to document the performance capability and innovative drive of the materials handling and intralogistics sector, helping to boost competitiveness and raise the profile of the entire intralogistics sector in the public arena. 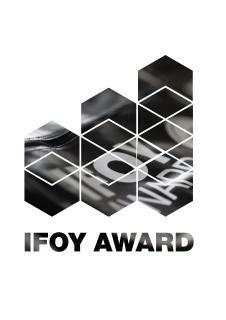 The winners of the IFOY Award are selected once a year by an independent jury of international trade journalists. The sponsor of the IFOY Award is the VDMA Materials Handling and Intralogistics Sector Association. Partners are the Deutsche Messe with the leading international CeMAT trade fair for intralogistics in Hannover and the Munich fair with the transport logistic, bauma and IFAT. IFOY pallet partner is CHEP, the global market leader in pallet pooling, IFOY technology partner is the battery charging specialist Fronius. The patron of the IFOY Award is the German Ministry for Economic Affairs and Energy. The headquarters of the IFOY Organisation are in Ismaning near Munich. Members of the jury: Vladimir Antonov, Editor-in-Chief of Sklad i Technika, (Russia), Snejina Badjeva, Editor-in-Chief LOGISTIKA magazine (Bulgaria), Dave Blanchard, Editorial Director Material Handling & Logistics/IndustryWeek (USA), Theo Egberts, IFOY tester and owner Buro Andersom/Andersom Testing (Netherlands, without voting rights), Harald Ehren, Editor-in-Chief Deutsche Logistik-Zeitung (DVZ) (Germany), Thilo Jörgl, Editor-in-Chief LOGISTIK HEUTE (Germany), Anders Karlsson, Editor-in-Chief Transport & Logistik iDag (Sweden), Klaus Koch, Editor-in-Chief Logistik&Fördertechnik, Handel Heute (Schweiz), Erik Kruisselbrink, Editor-in-Chief Logistiek Totaal (Netherlands), Allan Leibowitz, Editor-in-Chief forkliftaction.com (Australia), Valeria Lima de Azevedo Nammur, Publisher LOGWEB Magazin (Brazil), Øyvind Ludt, Editor-in-Chief Moderne Transport (Norway), Peter MacLeod, Editor-in-Chief SHD Magazine (United Kingdom), Bernd Maienschein, Editor-in-Chief MM Logistik (Germany), Marilena Matei, Editorial Manager Tranzit and Tranzit Logistica (Romania), Anton Mizunov, Editor-in-Chief Skladskoj Komplex (Logistics and Transport)(Russia), Maurizio Peruzzi, Editor-in-Chief Il Giornale della Logistica (Italy), Isabel Rodrigo, Editor-in-Chief Logística Profesional (Spain), Hans-Joachim Schlobach, Publisher-Editor and Editor-in-Chief BUSINESS+LOGISTIC (Austria), Sascha Schmel, Managing Director VDMA Materials Handling and Intralogistics Sector Association (without voting rights), Sabine Schulz-Rohde, Editor-in-Chief Beschaffung aktuell (Germany), Sebastian Śliwieński, Editor-in-Chief Warehouse Monitor (Poland), Jarlath Sweeney, Editor-in-Chief Fleet Transport (Ireland), Mats Udikas, Editor-in-Chief Transportnytt (Sweden). Executive Jury Chairperson is Anita Würmser, logistics journalist and Managing Director of wuermser.communications.